Interview by COL0NEL SANDERS and Dusty Boy T.
If you have never made a pair of wings or any other forge screenshot and would like to give it a try, you need to know how to make weapons appear vertically. In other words, you need to create an illusion. To do this, float a platform (I usually use bridges but other platforms like double boxes will work) at a tilted, diagonal angle at around 45 degrees. Then, create your picture by placing and spawning the weapons. If the weapons start to slide down or you're having trouble keeping them where they need to be, don't get angry, this happens to everybody. Just be patient and tilt the platform down a bit so it is less steep if you need to! When you are done making the design, it's time to actually create the illusion with angles. When you are done with your forging and posing for the picture, go to the film in the theater and look up at the weapons or objects so that you match angles, making the weapons look vertical. If you still do not understand, then take a look at my skydiving screenshot. Notice how the Spartan isn't perfectly straight, but tilted? This is because I was looking up at it in a 45 degree angle. When I made my skydiving screenshot, I floated two bridges at a far distance and created the plane with weapons. Then I floated three closer bridges and made the parachute, and also used "Flag Return Points," which work great. When I was done forging, I floated the Spartan in the perfect angle below the parachute, and took the shot. My name is Ryan and I'm from the Seattle, Washington area. I am known by the Halo and Bungie.net community for my forge art screenshots. I was introduced to the XBOX as a present for my 9th birthday and immediately became addicted to old games like "Blinx: the Time Sweeper" by Artoon. My interest in video games has increased exceedingly since then. But other than gaming, I have other hobbies to keep myself busy. I plan to take 'computer programming' and 'video game design' classes next year in high school (and just a side note; I've heard from teachers and students of the classes that at the end of the year we get to work with Bungie employees! ), so I may pursue a future in game design. 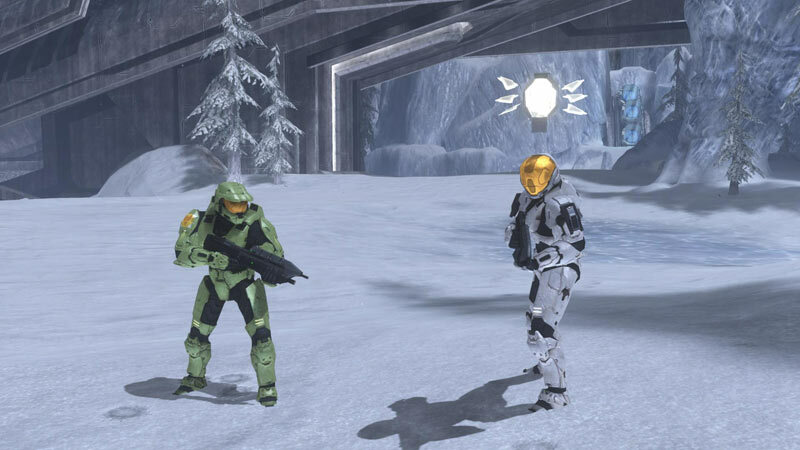 But right now, in my free time, I am either playing Halo 3 or making movies with my friends. I've been editing videos for a while now; it's pretty entertaining. I also love the outdoors and enjoy hiking, camping and mountain biking. My passion for art started around 3rd grade when I took drawing classes after school and learned the basics. I would draw everyday in class and sometimes even get in trouble while sketching during a lesson. Unfortunately, I am not the best at drawing, so I tend to use Photoshop instead. 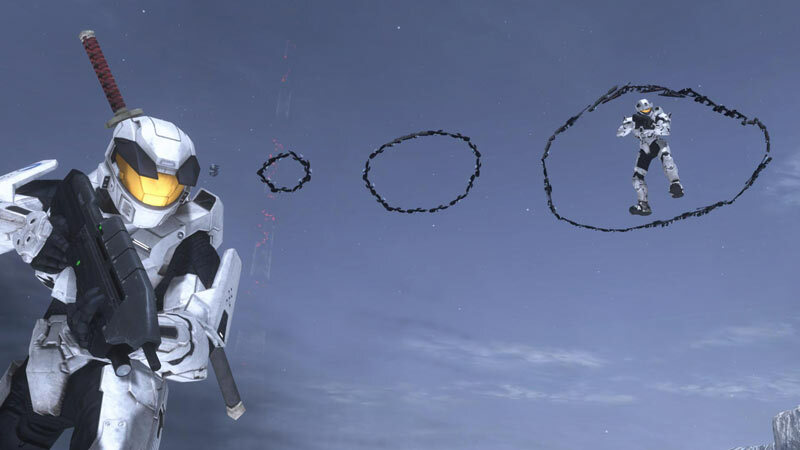 And, of course, I love to take screenshots in Halo 3 to satisfy my artistic Grunty thirsts. Work along side Bungie Employees? That sounds great, Ryan. Have fun with that! When did you first start making forge art in screenshots, and why was it forge art? Why not campaign art, or some other form? I was taking regular screenshots of combat after matchmaking games and was putting them in my fileshare like everyone else, until one day around last December I got the guts to message Knightmare2I and ask him for some help on some screenshot effects. He was nice enough to invite me to a game and show me some awesome tips and effects; it gave me confidence to take my own screenshots. If he hadn't had helped me, I probably wouldn't be taking screenshots like I am now. So after I started taking more and more effect screenshots with all the new friends I was making, I joined several screenshot groups over at Bungie.net and met new people. It wasn't until around the beginning of this February when I decided to make my first forge art project, a wrecking ball out of forge (I have always loved art) and post the screenshot in a few groups I'm in. After that, I began to get noticed with my forge art by the Halo community and I've been taking forge art screenshots since. Although I still love to take effect/staged screenshots on occasion with some of my good friends =). There's nothing better than trying to coordinate with friends and lag to take a picture! Where does most of your inspiration come from in your forge art projects? Inspiration can come from the most abnormal places, can't it? How long does it usually take to complete one project? It really depends on what the project is, and how much involvement is required to get the certain effect or idea across. 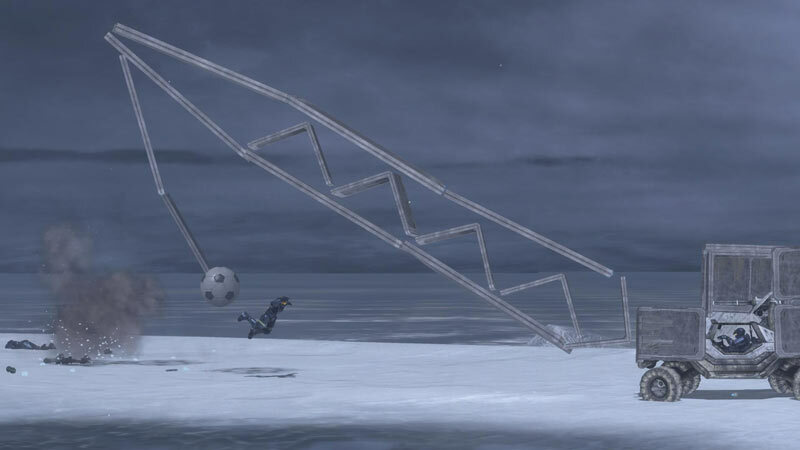 For example, when all I have to do in a project is create a fishing pole out of weapons, add a shield door to represent water, and adding a simple pose, the screenshot could only take a matter of hours. But when you need to incorporate more complex processes, like floating scenery, like "I have an Idea! ", the project can take a few days. It pretty much just depends on how patient you are and how much detail and effort you want to put into it. I'll just leave the forge art to you; I'm clearly not cut out for it! Who was your biggest inspiration when you first started in Forge Art? When I began my first forge art screenshot project in February, called "Wrecking Ball", Predator5791 commented on the picture saying it was "Wonderful, very creative." Phenomenon IV also called it, "Hilarious!" These great artists' comments inspired me to create more of these funny, forge art screenshots. It also got me constantly thinking; Hmm....can I create this in forge with weapons and different level specific scenery? Kind words from well-known people can definitely give you some great motivation. Do you have a favorite screenshot, or a most known screenshot? "Day Dreaming" has to be one of my favorites just because of how much work it took to float all the weapons and getting the angles, the most difficult part. But what I am most known for and what I am most proud of is my screenshot "Wrecking Ball". It was definitely the most difficult shot to take because I had to work with a lot of floating, merging, and complicated angles. The first time I took this shot it was very sloppy, but still funny, so I soon made an improved version which was for sure worth the extra time. Those are both great! Are you still actively working on forge art screenshots? Of course! Although I take a little break between each forge art screenshot I take, I am always thinking of new, creative ideas. In fact, I hope to finish my Easter screenshot project in a few weeks, so keep watching my file share for new screenshots! Glad to hear that! I hope to see some creative work from you in the not-too-distant future. Do you visit any off-site forums or other communities? Bungie.net is pretty much the only site that I love to visit constantly and talk in the forums and groups. After all, it is a great community =). But I do occasionally visit YouTube to watch Halo 3 videos and I am a pretty big fan of Machinima.com. You're right, Bungie.net is a great community! Do you have any advice for other aspiring artists interested in forge art? 1. If you're interested in getting started into forge art, then make sure at first you are very patient. It may take days or even weeks to get something perfect, and remember there is never a deadline for anything. If you are writing something with weapons, they can get very unorganized and seem to refuse to cooperate; therefore, it is good to revise a project daily for a couple days. Don't ever sit in a forging game for hours drawing something with weapons unless you can handle headaches and anger easily. It took me about 5 days or so to create my first version of Wrecking ball and about another day or so more to make the revised version. 2. Make sure none of your creations are sloppy - you don't want to start off with a bad reputation. Bad comments will just make dicsourage you and cause you to dislike creating forge art. So like I said, take your time. Ask your friends what they think before you share it with the world. 3. Use the environment of maps to your advantage. Sandbox can hold an "ancient" type of environment and architecture which is perfect for things like pyramids and sphinxes. Maps like avalanche or blackout can fit for the complete opposite. Thanks for those words of wisdom, I'm sure many aspiring artists will put it to good use. Would you like to make any shout-outs or add anything else you would like the community to take away from this? Taking screenshots with forge is like making lemonade out of lemons. Scenery objects aren't just for making maps, but they could pretty much be used for anything. Just get creative and turn your idea into something funny or unique with forge. Also, I want to thank everybody who commented on my screenshots and gave me confidence to make more. Thanks knightmare2I and II R II Gemnice for helping me start with screenshots, and thanks to everyone who helped pose or make screenshots with me. Thanks Team Backfire for providing me with the opportunity to get on Bungie Favorites, and thanks to all the other awesome groups I am in for giving me confidence! You guys rock! Now that the interview is over, skm, let's go into forge and create an awesome new work of art! I think I'll be the one to pose, as you are clearly the most qualified person to be doing the forging. But before we go make our masterpiece, I'd like to make a few shout-outs of my own to different members of the community. Thanks to you for taking the time to do this interview, it was a lot of fun! Also, thanks to jdars for letting me take the reins on this one and to Dusty Boy T for all the help! If you have any suggestions for future guests, message jdars on Bungie.net!